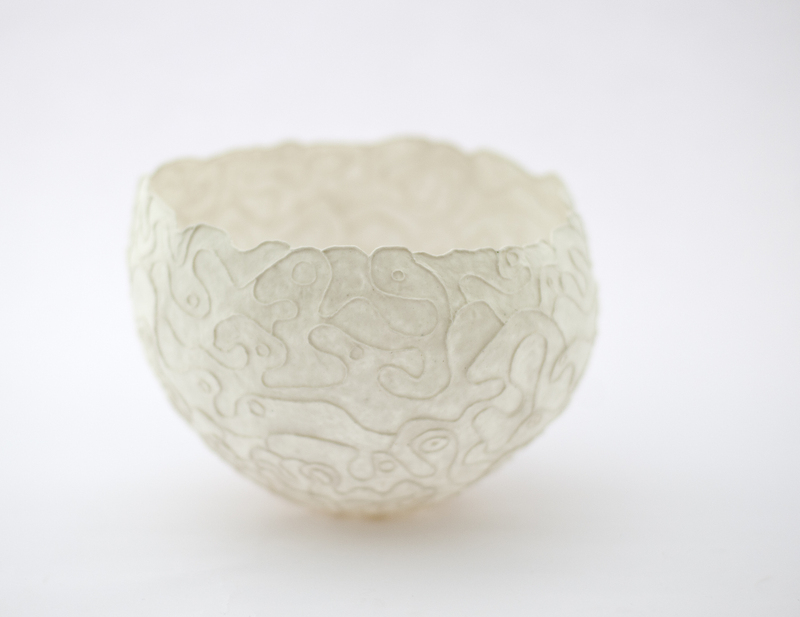 Guy Van Leemput makes translucent porcelain bowls. These woodfired pieces are as thin as paper. Last year his work has won Bronze Award at the International Ceramics Competition, Mino, Japan. It is now in the collection of the museum of modern ceramic art, Gifu, Japan. Together with some of these white pieces he shows very new coloured work as a result from his invited artist in residence in Jingdezhen (China) last summer. It could be argued that Lebrun finds much of what is at the core of her art. She collects everything: seeds, bones, the fossilized portion of an insect’s abdomen, stalks, acorns, caterpillar tracks, sponges, shells, carapaces, fossils, calcified bits of some creature or thing long forgotten. Brought together, they constitute an entire world undergoing a metamorphosis and bearing witness to a beauty hidden in the folds of time. 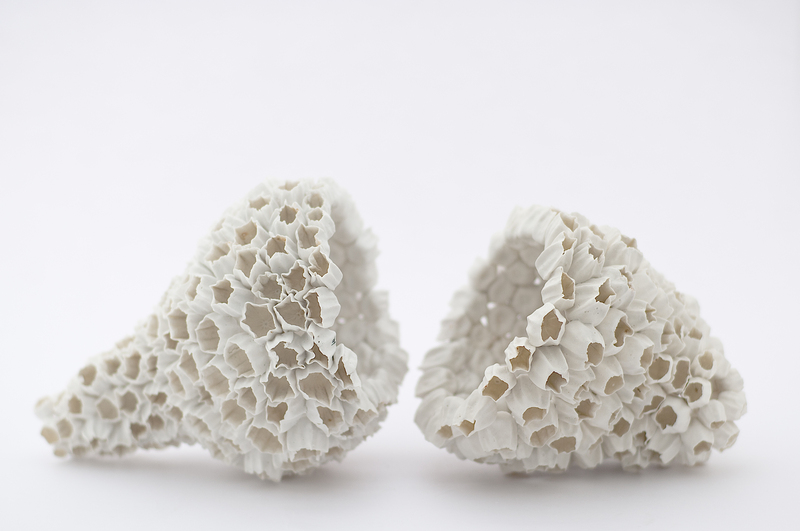 Her delicate porcelain works inevitably take us back to childhood memories of the seaside, of objects found on the beach or in the woods and cherished as only a child can. 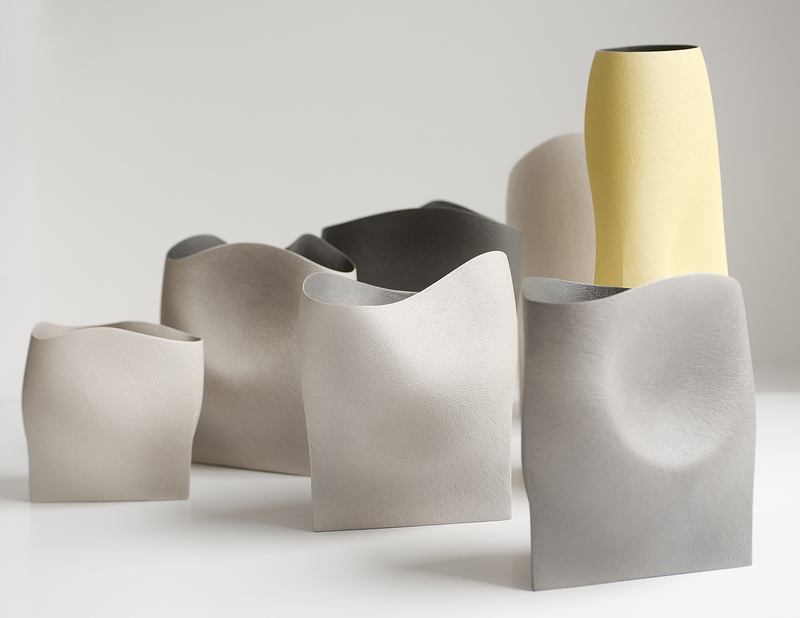 Ashraf Hanna is an Egyptian-born, British trained, studio potter residing in Britain. Hanna initially studied art and design at El-Minia College of Fine Art in Egypt. After completing studies in theater design at Central Saint Martins College of Art and Design in London, he began working with clay in 1997. Pernille Braun works in glass. She frequently combines control and chance in the way she works. Part of her work method is about setting limits and making a preliminary draft. She does not know how the piece will turn out until she has finished; one could say that she creates visual experiences whose beginning and end are open. 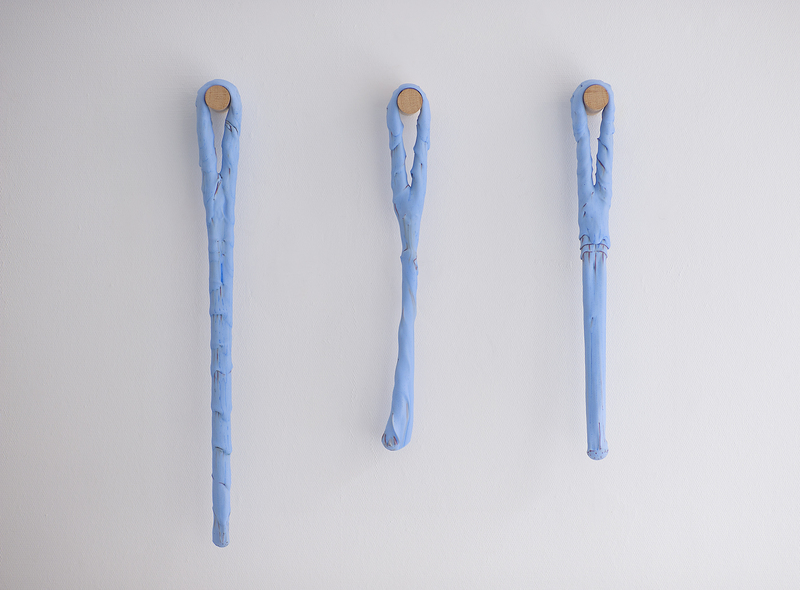 Interested in the concept of ‘time’ she seeks to configure a new way of transforming time from an abstract concept into a specific, physical object. Thérèse Lebrun (Personal show 2014), Guy Van Leemput (Personal show 2010), Ashraf Hanna (Personal show 2015).